The internet has many Flexispy reviews forum, but this is the only comprehensive review of FlexiSPY! You do not have to stroll around looking for other information portals about spy apps. With Spy Advice, you have a complete detailed analysis of such things. So, let’s get to my neutral analysis! When you suspect that your spouse is cheating and damaging all the tenets of the relationship that you have taken your life to build, there are few options for you. Some people rush to call it quits, while others use unorthodox methods to mend the breaking seams. Whichever way you wish to tread, you will need to be smart, and this ultimate FlexiSPY review can come right in handy. 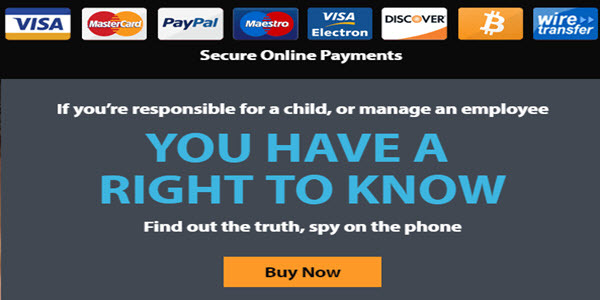 When looking for a spy software, it is tempting to end up with raw deals due to the bombastic reviews online. But with this guide and honest report, you will land there safely. The internet has many spy software companies and tools, but few are functional and reputable. Apparently, FlexiSpy is one of those on our whitelist. In this unbiased FlexiSPY review, I will explain why! Why Should You Use Flexispy? Flexispy is an app that helps you become some FBI or NSA agent. For instance, you can have the spy software planted on a personal computer or installed on a smartphone for monitoring purposes. Then, it records their chats, calls, websites they visit and at times, it can let you block some functionalities. FlexiSPY is a software that helps users to track, monitor and possibly control what other people do with their technological devices. There are versions for smartphones, computers, and tablets. Some versions of this app can allow you to watch what the target user does online, or even keep a tab on their calls. The government seems to have the upper hand when it comes to spying, but with FlexiSPY, you could share in its privilege. As you’ll see below, the app has many benefits. There are hundreds of ways to use FlexiSpy or any other spy software like this. 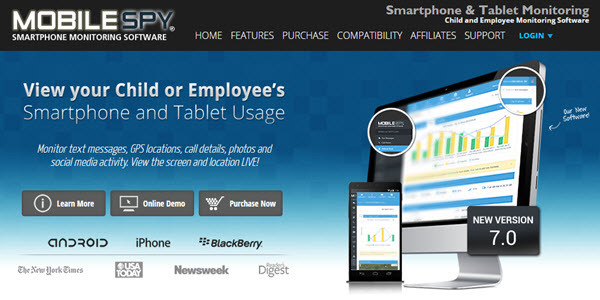 The primary function of the FlexiSpy software is to monitor phones, tablets, and computers. Noteworthy, the app is handy for parents, employers, and lovers. Let’s get to the details. Raising children has become a dodgy experience in these days when advanced technology is the order or life. No matter what you do to warn kids of having ‘bad’ friends, they will still find a way of interacting with them online. The internet is a revolutionary store of information, but it also has evil things, too. PewInternet research reveals that at least 88% of teen in America get their first phones by the time they are seven. It means there’s a likelihood that you will not do much to keep your children off computers, tablets, and smartphones. 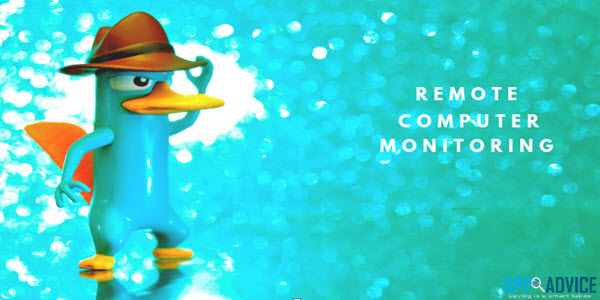 FlexiSpy steps in to help you deal with the situation by letting you monitor their online activities. 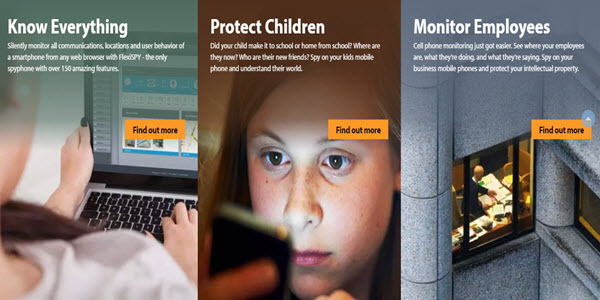 You can track the phone to know where or what the child is doing at a given moment. The app also allows you to know who the kid contacts and you can control what sites they can or not load. That provides you with the full potential to carry out your parental guidance pursuits. 50% of marriages in America end up in divorce. A large percentage of divorcees have tried to save their marriages. Well, anyone who tries spying on their partners the wrong way gets caught and widens the ridge even further. 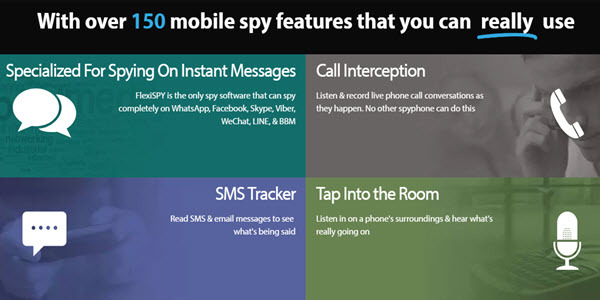 But FlexiSpy can be the ultimate solution to help you monitor your lover’s calls, emails and texts. At least, you will be in the know when things are going towards the ‘end,’ and probably mend bridges before it is too late. However, when spying on your partners, you need to be fully conscious of the legal implications. Well, FlexiSpy is not the ideal app for a person who only needs to plant a locator. Of course, cheaper ways are available to track a lost phone or computer. But, I won’t judge if your money allows it! Anytime your computer or iPhone is lost, you can use the FlexiSpy software to locate it. But you will need to have had the app installed in prior. Running a data-sensitive company can be a dodgy job, especially if the staff is rogue. Leakages have cost companies vast fortunes, and you may not want this to happen to you. Again, some employees can be negligent and may need to declare them redundant. For your company’s sake, you should consider spying on employees. FlexiSpy lets you know how workers use their computers and phones. That is legal, as long as you indicate it in the contract agreement papers. Most spying software collects information from the target, and then sends it to the cloud, where it is then reflected on the user dashboard. FlexiSpy is no different – although it has strict ways of ensuring they do not store your data on their servers. Anyway, this is how FlexiSpy works. First, the client logs onto the Flexispy.com site from any browser. After choosing the suitable subscription plans, the user then makes a purchase. FlexiSpy developers then send an email containing the login credentials and installation guidelines. This information is necessary for accessing the customized, personal dashboard. The next step comes to installing the app or software. As most advanced spying programs do, FlexiSpy may need physical access. But iOS without jailbreak can allow physical access, as long as you have the target’s iCloud credentials. For other platforms, you may require up to fifteen minutes of physical access to install the spying software. After completing the installation, you can start monitoring the device. Everything that your subscription plan supports will work simple- quite well. If you have the Extreme FlexiSpy, then you will be able to monitor encrypted chats on Snapchat, WhatsApp, and iMessage among others. All these options will appear on your online dashboard for you to watch and manipulate. When buying snooping software, you should find out whether the app makes sense in your life. Of course, not all the spying apps on the internet are appropriate for you. So, you must ensure that they are the right apps. Below are the things that make the best spying app. What kind of device do you want to spy? The app needed to monitor an Apple product is different from the one that spies on Samsung phones or Blackberries. Likewise, a tablet may need a different app from a computer. All these factors should help you know whether a monitoring software is worthy. If your target has no computer or tablet and uses a Siemens C35 instead, then, good luck spying on them! It is necessary to ensure that you are using the most recent version of FlexiSpy. I suggest you download it only from the official FlexiSpy portal. 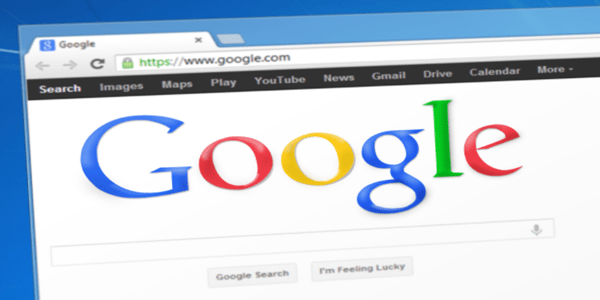 In most cases, third-party websites end up distorting some features of the apps that they offer. They are also likely to lag behind and fail in updating the FlexiSpy apk when the need arises. The latest versions are often lighter, less buggy, and easier to use. You also need to find out if the version is compatible with the target device. If you don’t want the target to notice that you are spying, then you must be careful about the amount of space that the app requires. Some programs are too heavy and demanding that they strain system resources and thus end up blowing up the plan. FlexiSpy is light, and at 20Mb, it uses minimal resources on any device. It runs in the background in such a way that the user cannot notice. When buying an iPad or iPhone monitoring software, ensure you check out if the device is non-jailbreak. It helps you know what kind of app you need. Apparently, you cannot install non-native apps on a non-jailbroken Apple device. So, you should be careful enough to check the status of the iPhone so that you can know the best spy app for it. In that regard, you also need to find out what operating system the target runs on. Of course, FlexiSpy has a different version compatible with available operating systems. So, check out if your target is on Windows, Android, jailbroken iOS or non-jailbroken iOS. The name ‘FlexiSpy’ says more than what needs to be said, I suppose. It is flexible in the way it works across several devices, and the impressive features it provides. The FlexiSpy monitoring software has many worthwhile features that might interest you. While the primary purpose of the spying app is to monitor the use of other people’s devices, it could serve you with much more. If you buy Flexi Spy, here are some of the things you will be able to do. Are you searching for a spy to listen to your calls? If yes, you might find FlexiSpy a reliable tool. The app allows you to monitor and record live when the user makes or receives calls. Flex Spy is a fantastic app because it helps you monitor app activity. First, it tells you the software that the target installs on the device. It includes social media apps, games and anti-spying programs. In some cases, you can even manipulate how these programs work. FlexiSpy is flexible because it is compatible with any mobile device. For instance, you can run the app on Android, Mac, HTC, Apple, Windows, Nokia, and Blackberry among others. On Flexispy.com, you will also find versions of tablets, iPhones, and computers. If you are interested in the chatting escapades of an individual, FlexiSpy is going to get you exactly that! Here, you will receive alerts on the latest messages from iMessage and other default SMS apps. If your kid’s phone ever gets lost, never mind because FlexiSpy has the perfect sniffing dog! The GPS tracker will locate the phone and alert you about it. So, if it is stolen, you can find the thief, and where he or she is hiding. Who knew that FlexiSpy could also be functional as a security app?! Sometimes, you want to snoop on more than just the calls and texts. If you are looking for a way to tell what people say about you, then you can plant FlexiSpy on their phones. The app turns the target phone into a spy mouthpiece. This way, it records sounds from the phone’s surrounding. You do not have to worry about people gossiping offline anymore- you will know it! Did you know that you could track what people do with their private apps? Well, with FlexiSpy, you can get live alerts of your target’s activities on Skype, Viber, and WeChat. It also doesn’t matter whether they are on BBM, Viber or Facebook- the app will tell you everything. It overrides the widely accepted notion that apps like WhatsApp and Snapchat claim to provide encrypted messaging services. Update- FlexiSpy is not offering Snapchat tracking due to the social platform’s change in third-party app deals. They have promised to be back soon. The gallery stores all the files that a person downloads or receives. These files can act as significant leads when spying on an individual. Thus, it is a ground that you should consider exploring. FlexiSpy lets you access pictures and video files on the target’s device. In fact, the app also allows you to delete the videos and images remotely. This feature is essential for parents who want to enforce appropriate pictures or videos for their kids. Some apps and contacts are too obnoxious to bear. But did you know you can block them? Well, the FlexiSpy software gives you control over the target device. This means that you can block programs, websites or contacts. This renders them inaccessible and thus, keeps your kids safe. This includes allowing you to block incoming calls or texts. Look, the internet is full of predators, and there is need to ensure that your children do not become preys. This means that you should be ready to block contacts that happen to be misleading your beloved kids. Again, the spy-app lets you block websites and applications that are age-inappropriate. FlexiSpy also allows you to keep tabs on your kid’s browsing data, emails, and other web platforms. It notifies you about websites or online messages your minors engage in. That is a significant step in keeping your teen safe online. 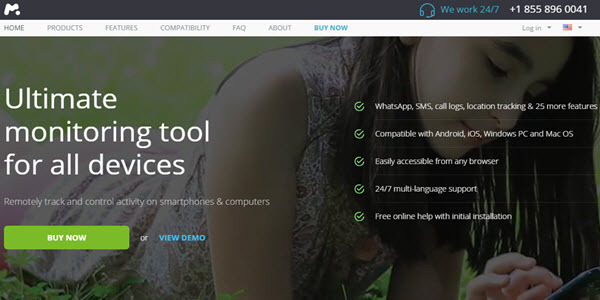 The keylogger is one of the most advanced functionalities of this spying app. It lets you know any texts entered on the target device. If a user writes a message and then leaves a draft, you will get the alert. The same case happens when the person saves notes such as schedules, shopping, and to-do lists. Again, the keylogger records all the login details to websites and internet platforms. Is it a FlexiSpy hack tactic? I won’t say a thing! Having gone through the features, the most prevalent question in your mind right now is on the legality of the monitoring software. Well, I will provide the briefest answer possible. First, it is legal to create, download and use any software. That is guaranteed under the Bill of Rights- freedom of conscience and creativity. Second, it is legal to monitor your own devices. Of course, you have all dominion over things that you own. The only problem would be trying to spy computers and phones that aren’t yours. Third, you have the right to monitor your kids and employees. In fact, spying on children assists in parental guidance. Likewise, prying employees lets you improve their productivity. Anyway, the law has loopholes that you can exploit. But it also has clauses that might get you locked away. To ensure my readers are always on the safe side, I prepared them a comprehensive answer to the question ‘is spying legal?’ You may need to check it out! The software works well across several platforms, hence the name ‘FlexiSpy.’ It is compatible with the all iOS platforms, including 6, 8.4.0 and 9.0.2. If your Android is above 4.0, you can also use the app comfortably. Again, BlackBerry users can use the app as long as the device is up to version 7.1. Nokia Symbian also works well with the Anna and Belle versions. The same case applies to PC users because FlexiSpy is compatible with Windows 7 and later. In addition, Windows 8, Windows 8.1 and Windows 10 are compatible with the software. Mac enthusiasts can also install FlexiSpy software on Mac OS X Yosemite, Mac OS X Mavericks, and Mac OS X El Capitan. 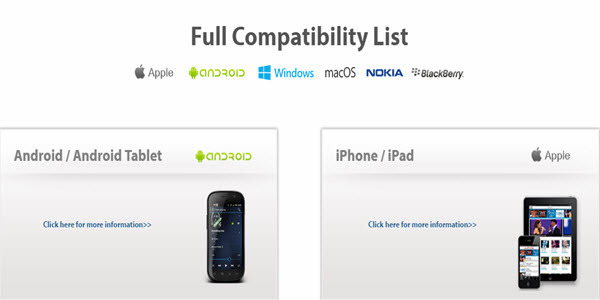 FlexiSpy supports Android 4.0.3 to 7.1.1, but it’s crucial that you check out for the compatibility for the most recent versions. If you want additional advanced features, you may need to root your Android device. All iOS versions are compatible with this app, as long as they are 9.1 and below. But the company keeps updating their software to match Apple’s ever-growing OS software. For recording functionalities, your device needs to be iOS 7.1 and later. Of course, you need to jailbreak the iPad or iPhone for it to allow FlexiSpy. The latest devices from Apple are immune to jailbreaking, but; stay put, we have the workaround! Support is necessary for any app that wants to maintain its user-base. FlexiSpy has an active assistance, which runs 24/7. It has a Live Chat where users can get their questions answered in minutes. Again, they do have a forum with answers to hundreds of questions that arise. But many clients complain about the services offered by FlexiSpy’s help desk. If you are working on a budget, sorry but this is not the ideal spying app. In that case, you can look out for our list of spying apps here. FlexiSpy costs a fortune, no doubt about that. Here are the plans for different products. Installation takes less than 30 minutes- actually fifteen if you have a good internet connection. First, you need to get an active subscription. Then, the providers will send a link to your email, which you will use to download and laces the FlexiSpy login to the dashboard. No doubt, it’s a FlexiSpy free download. Afterwards, follow the following procedures. There are two options when installing FlexiSpy on Android. First, you can choose to install it directly, or first perform ‘rooting.’ Rooting the Android device enables you to access advanced features. So, here is a quick overview regarding how to install FlexiSpy on Android devices. Well, the internet has a sea of spying apps, but few can come close to the quality of FlexiSpy. 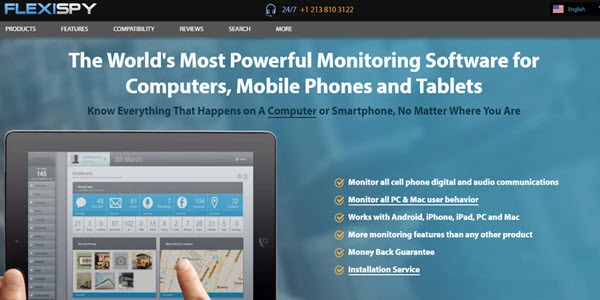 This monitoring app provides ample security when your device is lost. Paramount, you can listen to calls, get alerts and track apps among other features. Although the app has its downsides such as not having the ability to work on iOS devices that are not jailbroken and needs Android to be rooted too, but still, its benefits are overwhelming. Besides being compatible with several platforms, the app records surroundings and has quick installation. If you ask, mSpy is the best option for iOS and Android users as it supports even the non-rooted Android devices and non-jailbroken iPhone or iPad too. And, FlexiSpy may be a little expensive, but it has flexible subscription plans. No doubt; as per the spy market, FlexiSpy is one of the most FLEXIBLE spying apps ever! Its advanced features like giving users the ability to record and listen to calls and do call interception are not common, not many spy tools provide such advanced features. So given that one has some tech knowledge and can deal with rooting and jailbreaking, Flexispy is a great option to pick. I promised in lights of our honesty and transparency policy at Spy Advice to keep this FlexiSpy review comprehensive and honest. If there are issues you’d like me to clarify or points I may have been biased, feel free to ping me in the comment section below.